Glaciers and ice sheets are primary components of the Earth’s cryosphere. They represent a key source of fresh water and as such, they can profoundly affect the global water cycle, the ocean circulation and the sea level. Therefore, their dynamics have implications on several aspects of our society, like water and other natural resources management, economic activities (fishing, hunting, agriculture, etc.) and numerous social aspects. The clear warming process undergone by our planet requires a better understanding of the temporal dynamics of ice masses and their link to climate change. Results included in the Fifth Assessment Report of the Intergovernmental Panel on Climate Change (IPCC) indicates a general retreating trend for most of the glaciers worldwide and dramatic increase of ice mass loss in Greenland and Antarctica over the last two decades. The contribution to sea level rise over the period 1993–2010 is estimated to be about 5.9 mm for Greenland and 4.8 mm for the Antarctic ice sheet. The introduction of satellite remote sensing techniques has profoundly revolutionized the field of glaciology allowing large scale and systematic high resolution observations with revisit time of a few days. In this context, synthetic aperture radar (SAR) sensors represent an extremely powerful tool as they can operate independently of sunlight, during the long and dark polar winters and in nearly all weather conditions. 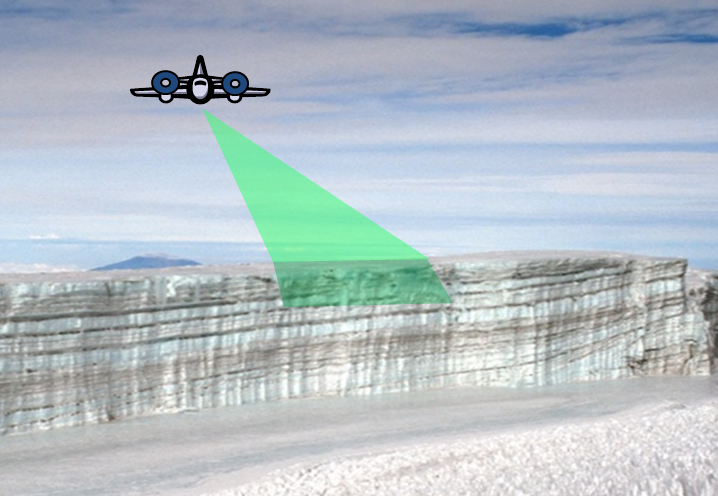 Over glaciers, SAR sensors are widely used to measure ice flow velocity and elevation changes by means of interferometric techniques. However, due to the penetration capability of microwaves into dry snow and ice, SAR measurements contain information about surface as well as subsurface features (figure 1), which determine the different glacier facies. That is, SAR observations can potentially deliver information about the extent of such facies, snow and firn density, grain size, accumulation rate, etc. Figure 1: Airborne SAR acquisition scenario. One of the main focuses of the research carried out at the Microwave and Radar Institute of the German Aerospace Center (DLR) is the development and the inversion of scattering models able to link polarimetric SAR (PolSAR) measurements of glaciers and ice sheets to physical parameters of interest for glaciologists. So far, one of the most prominent results has been the demonstration of a clear relation between some polarimetric signatures observed in SAR backscattering and the microstructure of snow and firn. It has been found that SAR sensors are sensitive to snow metamorphism and, based on this, an innovative technique has been developed to detect metamorphic snow and firn and to estimate their depth. The algorithm has been tested on fully polarimetric L-band data acquired as part of the ICESAR campaign by the airborne E-SAR sensor of the DLR (see figure 2) over two facies of the Austfonna ice cap, Svalbard, in spring 2007 (see figure 3). The results have been validated by comparison with ground penetrating radar profiles and confirm the correct characterization of the subsurface firn layer at both test sites. Figure 2: The DLR’s airborne E-SAR system during the ICESAR2007 campaign in Svalbard. 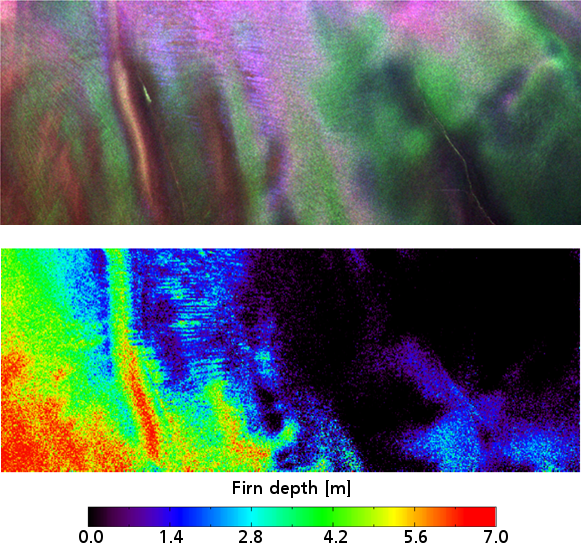 Figure 3: top) color-coded L-band polarimetric SAR scene acquired over the Austfonna ice cap; bottom) firn layer thickness estimated using the newly-developed technique. The developed algorithm can be exploited for several applications. First, it could be employed to delineate the firn line and to estimate the extent of the firn area of glaciers and ice-caps. By exploiting multi-temporal acquisitions, as in the case of space-borne sensors, it could be used to monitor the extent variation of such area over time. Furthermore, it represents the first known technique able to provide an estimate of firn depth as well as to characterize its variations if multi-temporal data are available. The latter information would provide significant support to surface mass balance estimation as it would allow refining the conversion of volume changes to ice mass variations. The main advantage of this technique is that it is able to deliver 3-D information about the investigated scenario using a single fully polarimetric SAR acquisition. 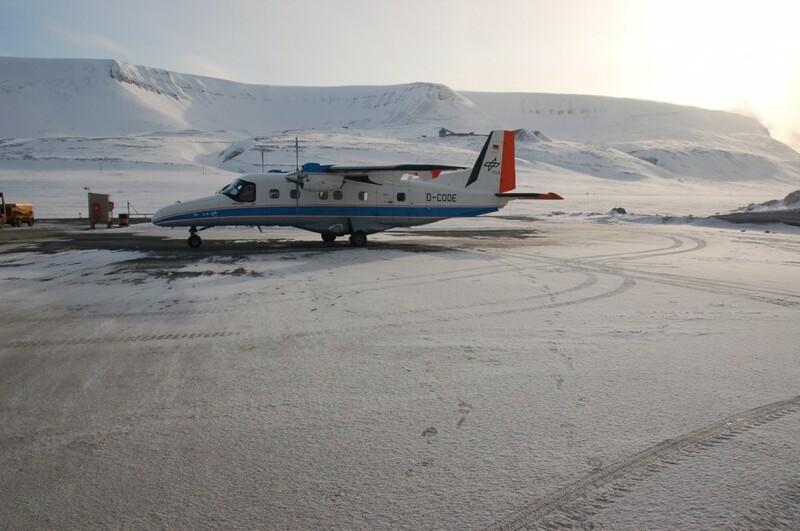 In order to demonstrate the usefulness of the developed method over wider areas, a new experiment is currently taking place over several snow/ice covered regions of Greenland using the DLR’s F-SAR system. 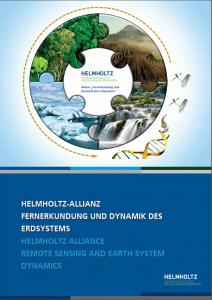 The campaign, started in mid-April and lasting until end-May 2015, is conducted in cooperation with ETH-Zurich. Parrella, G., Papathanassiou, K.P. & Hajnsek, I.: Relating Co-Polarization Phase Difference at L-band Over Land Ice to the Structure of Snow and Firn Layers. Proc. of IGARSS, Québec, Kanada, 13.–18. July, 2014.